NOTE: This is archived committee information from the 79th Legislative Session. October 17, 2006 - Joint Hearing w/ Education Cmte. September 14, 2006 - Joint Hearing w/ Higher Education Subcmte. March 01, 2006 – Joint Hearing w/ Transportation Cmte. Review the state's business tax structure and make recommendations for the development of a broad-based business tax that meets the following policy goals: (1) treats business uniformly regardless of organizational form, (2) impose a tax burden that relates to the benefits provided by the state, (3) encourages job growth, (4) provides a revenue stream that grows with the economy, and (5) does not shift the burden of current business taxes to consumers. Study the impact of the state and local tax structure on the competitiveness of Texas businesses relative to their counterparts in neighboring states. Review findings of the State Auditor's Office and evaluate actions taken by agencies and those remaining unresolved. Review health care funding, focusing on the Medicaid program, Medicare Part D, hospital reimbursements and trauma and indigent care. Complete a comprehensive review and evaluation of the state budget, including projected revenues and costs and long term implications of Hurricanes Katrina and Rita on health care, public and higher education, an criminal justice. Examine the entire budget process, including the establishment of spending limits, performance and accountability measures, and other measures to control spending. Study the method through which fees are collected under the Driver's Responsibility Program in order in maximize the amount of money for trauma funding and transportation. Look specifically at collection rates and develop means to enhance them. Monitor the implementation of Jail Standards Rider # 2 (S.B. 1, 79th Legislature), and Department of State Health Services Rider # 80 (S.B. 1, 79th Legislature) to ensure effectiveness of mental health screenings, cost savings, and effects on capacity at state and local criminal justice and mental health institutions. Also, monitor the implementation of S.B. 679, 79th Legislature, Regular Session, to determine whether videoconferencing is being used between the state and local criminal justice and the mental health agencies, as well as the courts, and whether cost savings and efficiencies are being realized. Study and make recommendations relating to the feasibility and options for capping property appraisal taxes at the state or local level. Review current appraisal practices focusing on standardizing procedures for appraising property located in more than one jurisdiction. Determine the number of commercial and consumer transactions, including wire transfers, that occur in Texas. Determine the amount of monies that are sent internationally from Texas. Study the feasibility of creating a pilot program in Harris County that captures a percentage of revenues from such transactions, and request an Opinion from the Attorney General’s Office to pursue these revenues as a potential source for health care funding. Review and make recommendations that address the state's facility infrastructure needs for public schools, including effective models for state funding as well as efficient methods to ensure responsible use of public tax dollars. Monitor changes made during the 79th Legislature, Regular Session, to adjust higher education funding formulas by adopting a cost-based formula matrix. Make recommendations for continuing improvements. Review the process by which the Texas Department of Transportation Commission allocates funds to the districts through the Allocation Program. Include a description of all scoring mechanisms used in making allocations of resources and make recommendations for maximizing the use of these funds to meet Legislative objectives. 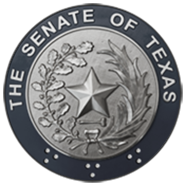 Review the process by which the Texas Department of Transportation Commission determines which federal funding sources should be implemented to comply with funding reductions mandated by Congress. Assess the Commission’s options for determining how projects that were to be funded out of these reduced revenue sources will be funded this biennium.